There are many different classifications for criminal offenses. Within these classifications, there are often subdivisions. Property crimes are offenses that involve the unauthorized taking or destruction of another party’s property. Within the realm of property crimes, there are multiple subtypes. These subtypes of property crime are listed below. 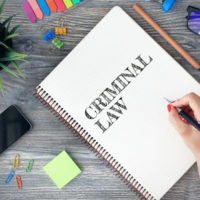 Property crimes can involve tangible items as well as intangible items like individuals’ identifying information and their intellectual property. It a piece of property rightfully belongs to an individual or group and has monetary value, the unauthorized taking or destruction of that property may be deemed to be a property crime. Property crimes can be charged as either misdemeanors or felonies, depending on the nature of the offense. If you have been charged with a property crime, work with an experienced criminal defense lawyer to create a strong defense strategy for your case. Violent property crimes are property crimes committed through acts of violence. Robbery, for example, is the act of stealing from another individual through threat or use of physical force. These offenses can also be classified as violent crimes and may be punished with steep penalties, such as incarceration. Stealthy property crime is defined as property crimes committed in a nonviolent, nonfraudulent manner. Generally, these rely on the victim’s absence to complete. An example of a stealthy property crime is breaking into an unlocked car and stealing valuables or taking items left outside an individual’s home without asking for them. A fraudulent property crime can be any offense that involves the deception of the victim to complete. This includes relatively straightforward offenses like identity theft as well as more advanced forms of fraud, such as embezzlement. Fraud often involves the misrepresentation of a service, product, or individual in order to obtain money or valuable information from victims. When property is illegally manufactured, sold, purchased, transported, or distributed, an entrepreneurial property crime has occurred. This can include counterfeiting, the sale and transport of stolen goods, and the trade of illegal substances and items. Sometimes, this can involve other types of crime, such as drug crimes or violent crimes. Destructive property crime is defined as any act of intentionally damaging or destroying another individual’s property. This can include vandalism, arson, and intentionally destroying borrowed items. This, too, can involve other types of crime. For example, an individual who sets fire to another’s home may be guilty of the property crime of arson as well as the violent crime of attempted murder. If you have been charged with any type of property crime, start working with an experienced Miami criminal defense lawyer to create a strong defense strategy for your case as soon as possible. Contact our team at Ratzan & Faccidomo, LLC today to set up your initial consultation in our office to discuss your case and your options in greater detail.